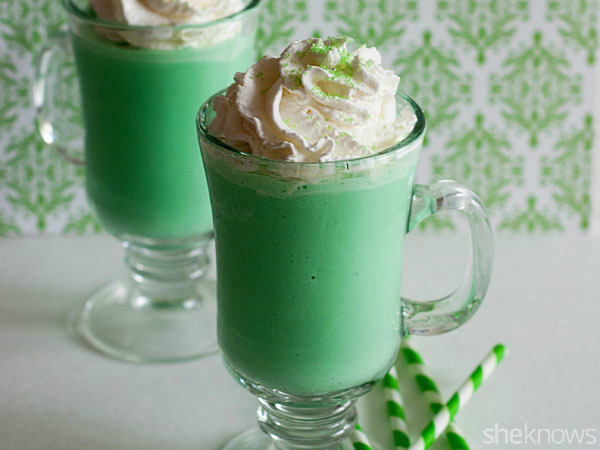 All the recipes you need to make your St. Patrick’s Day extra festive, from breakfast to dessert and everything in between, including cocktails, of course. 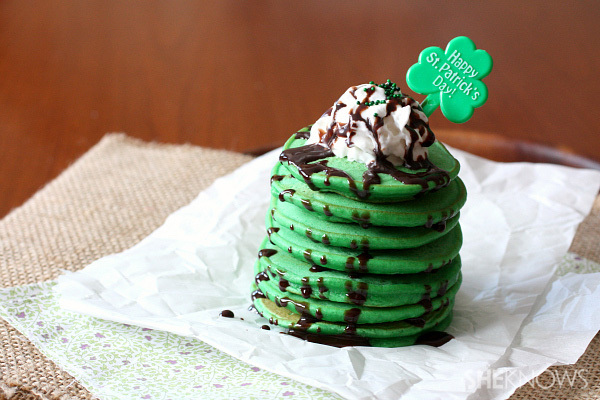 It doesn’t get much more festive than these green St. Patrick’s Day pancakes. 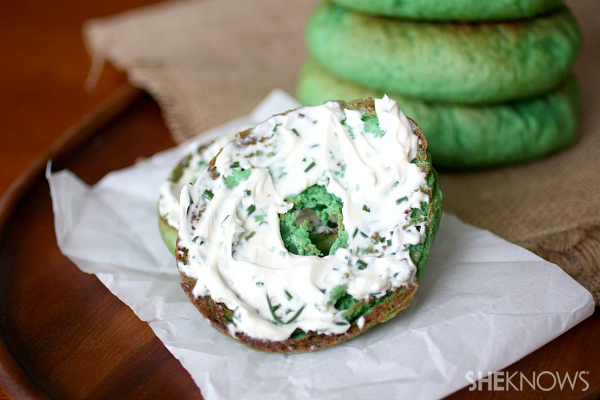 If green pancakes aren’t your thing, go with green bagels. 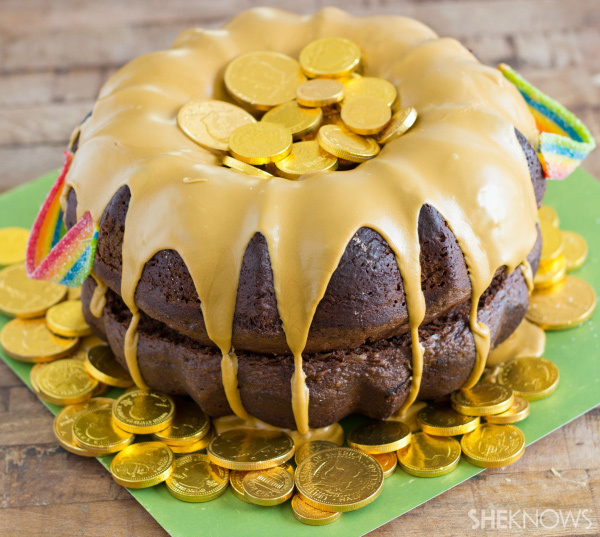 You can have your pot of gold and eat it too. 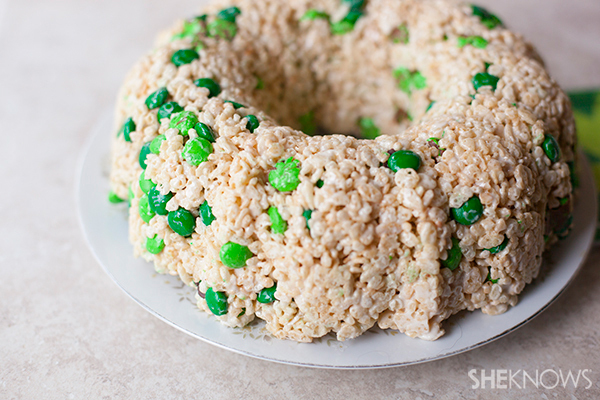 This no-bake Rice Krispies Treat Bundt cake just might be the easiest dessert you’ll make all year. 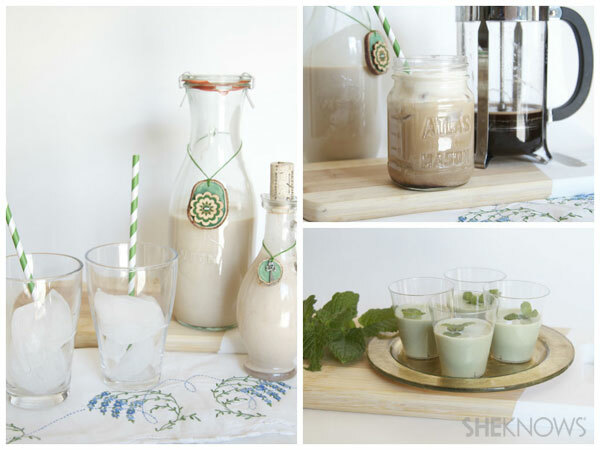 If you’re looking for a nondairy version of everyone’s favorite seasonal minty shake, you’re in luck. 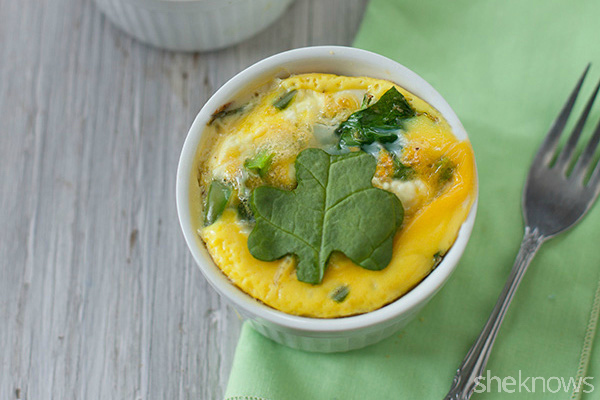 If you want to skip the green food dye, then go the natural route with mini shamrock frittatas. 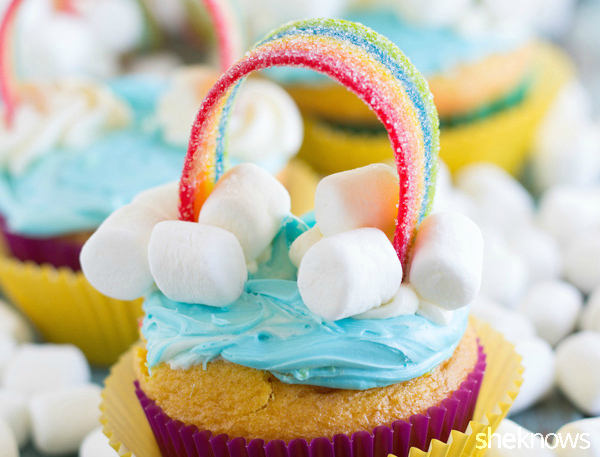 If this cupcake is at the end of the rainbow, I’m happy. 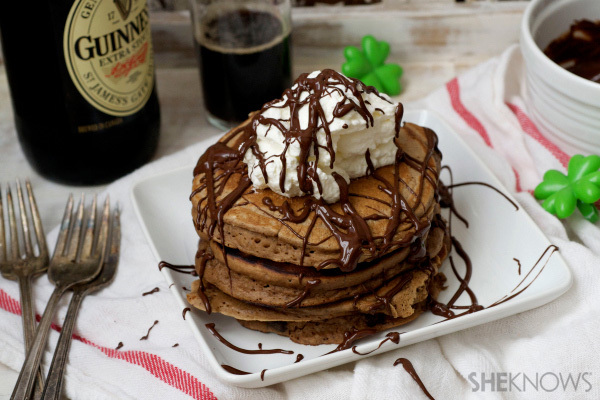 Start your morning off right with a stack of indulgent chocolate-Guinness pancakes. 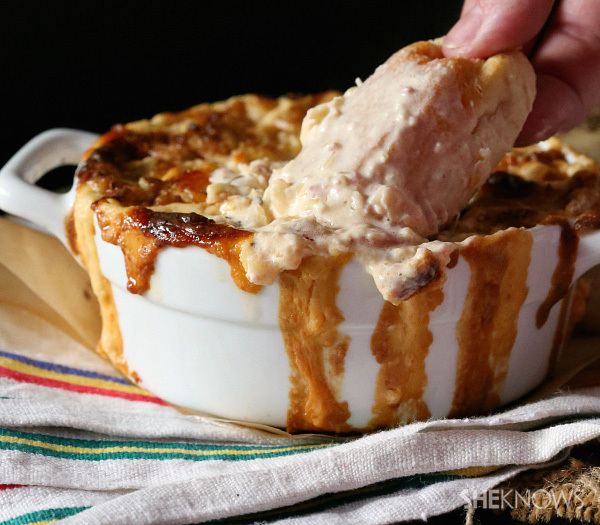 All the flavors of a Reuben, turned into a hot, cheesy dip. Don’t forget the homemade rye breadsticks. 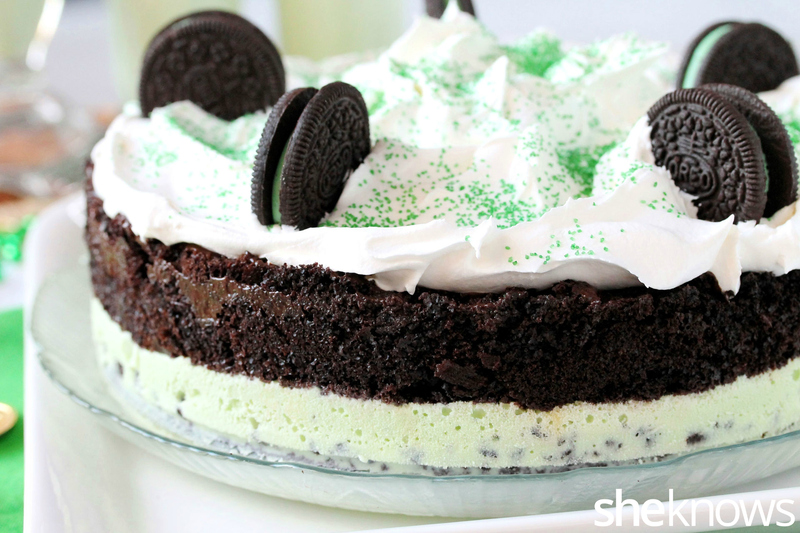 It’s a shamrock shake in ice cream cake form. Yes, please. 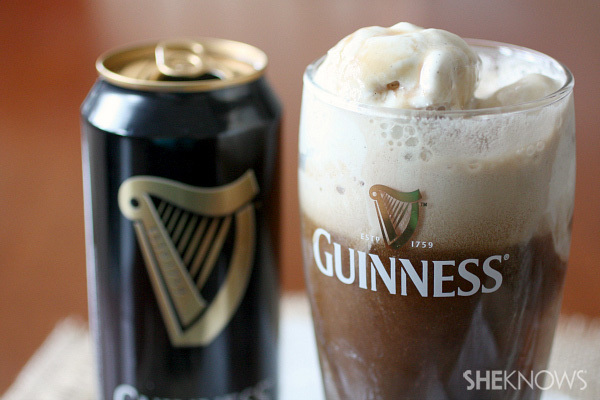 Combine beer and dessert to make one luscious ice cream float. 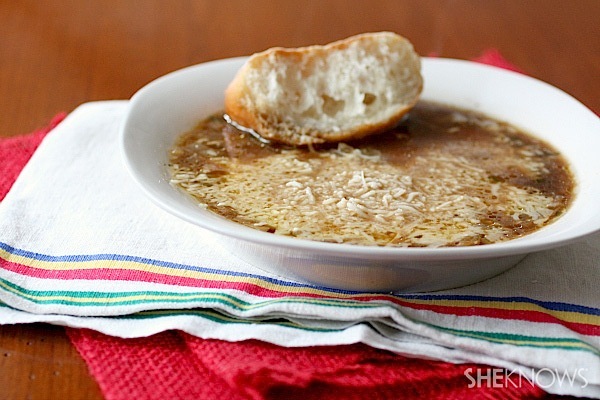 On the off chance that you don’t want to drink all your Guinness, you can use it in this cheesy soup. 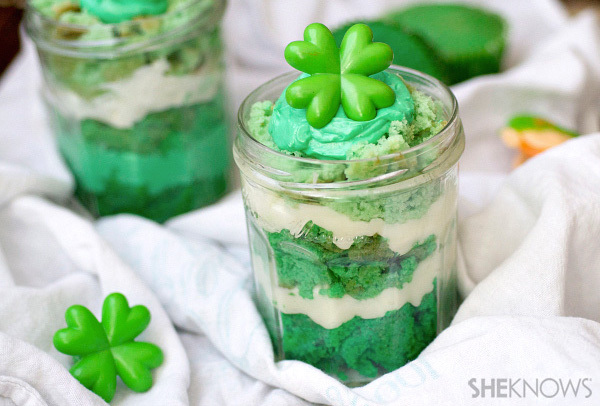 Hit two trends with one easy St. Patrick’s Day dessert: ombre layers and Mason jar cakes. 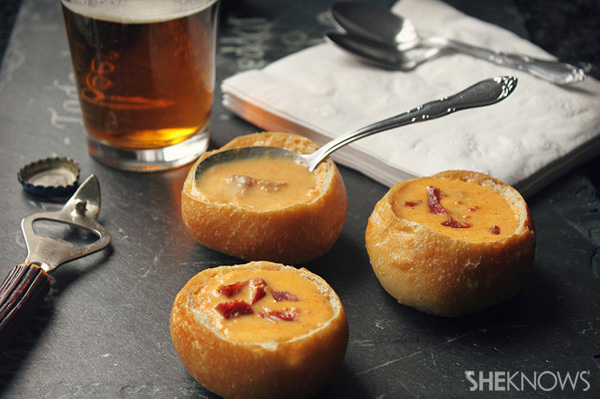 Crack open the Irish ale for this oh-so-cheesy beer soup in individual bread bowls. 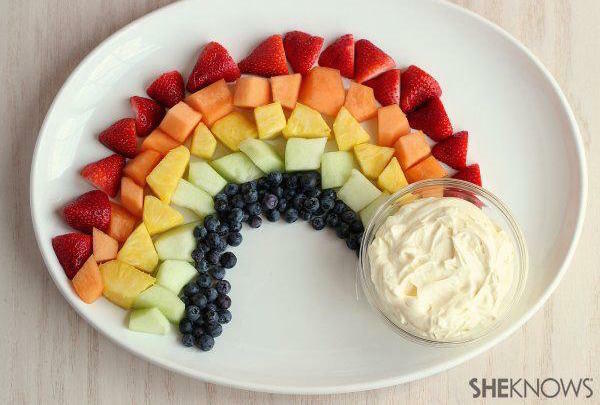 If you’re desperately trying to sneak some fruit into this green, sugar-filled day, then this rainbow is the perfect way. 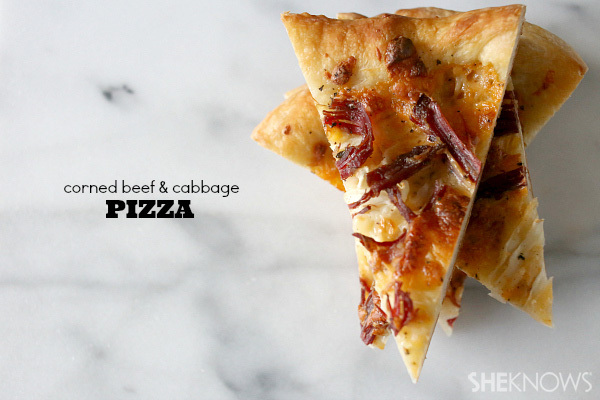 Turn your leftover corned beef and cabbage into this mouthwatering pizza. 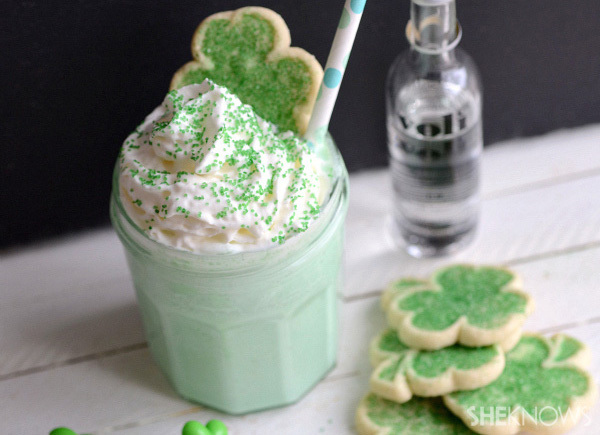 We’ve got all the shamrock shake options you could want, including this adults-only version. 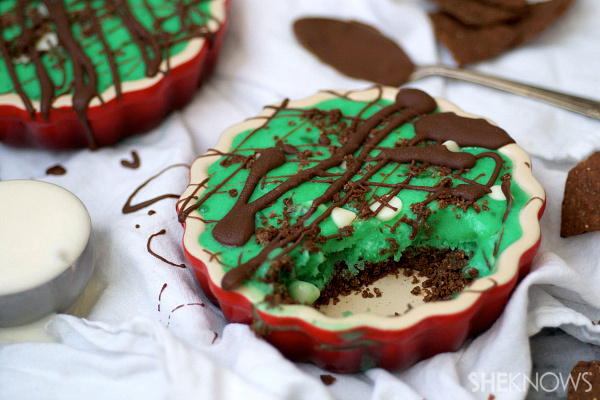 These super-easy ice cream pies have a chocolate tortilla chip crust for a deliciously sweet and salty bite. 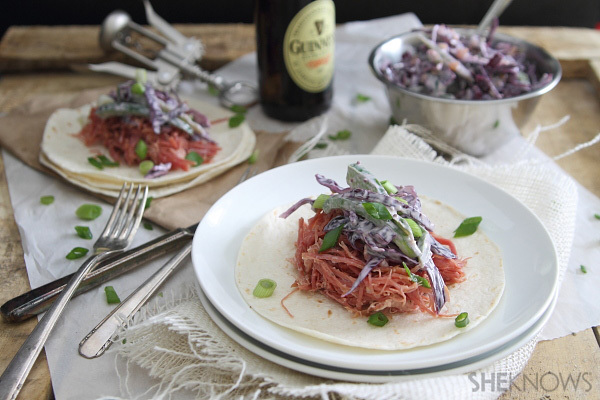 If you’re not feeling the typical corned beef and braised cabbage combo, then try these tacos with spicy slaw. 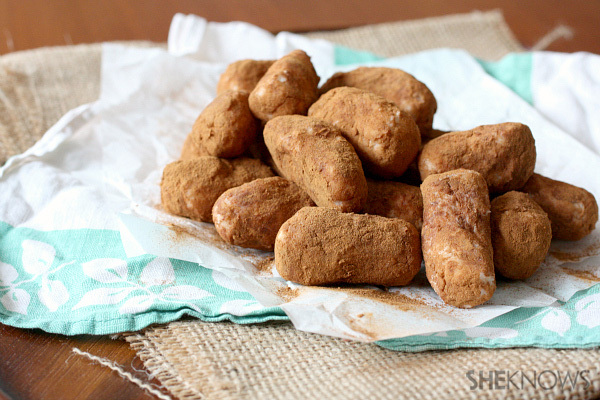 There are no potatoes in this sweet treat, but there’s plenty of cream cheese and coconut. 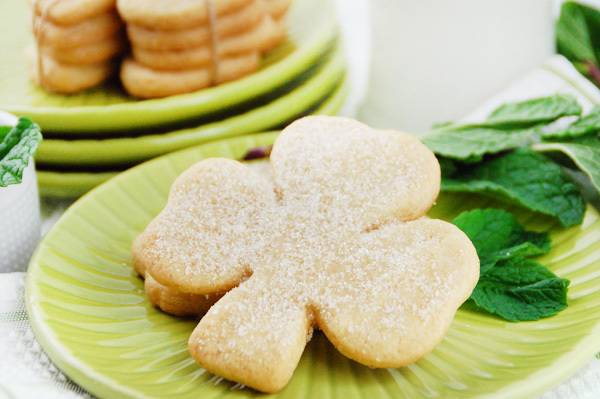 You’ll never buy Irish cream again once you see how easy it is to make at home. 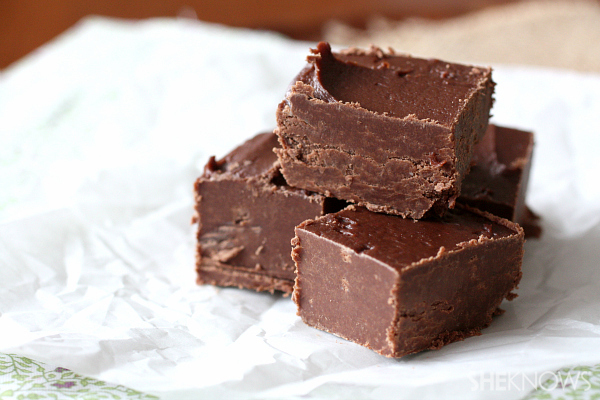 You’ve got your coffee and your Irish cream packed into this chocolaty fudge. 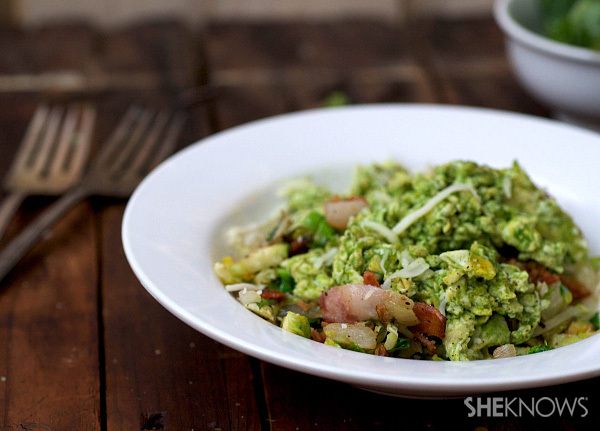 Turn the Dr. Seuss breakfast into a St. Paddy’s Day affair with these green eggs, pork belly and Brussels sprouts hash. 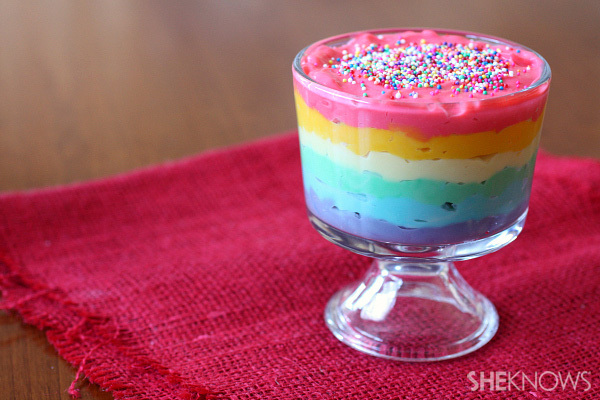 Who needs gold at the end of a rainbow when you can be rewarded with this colorful pudding? 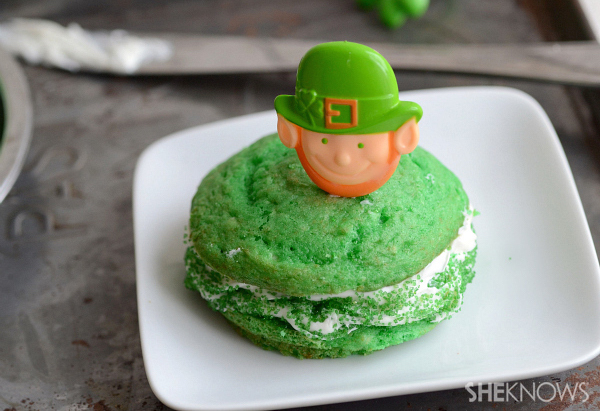 These cookies are the perfect companions to an Irish coffee. 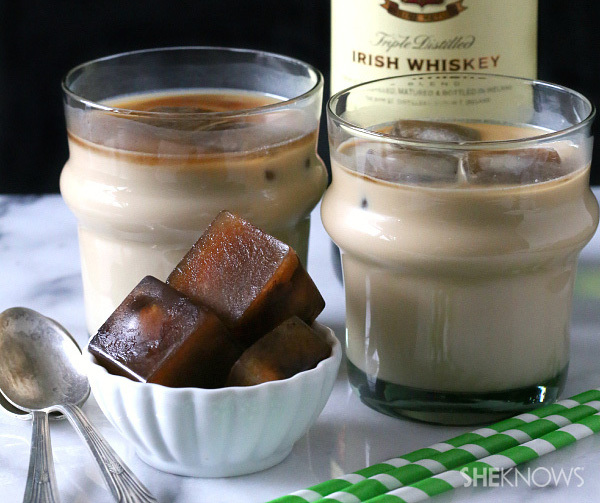 Turn your Irish coffee into a chilled cocktail with coffee ice cubes. 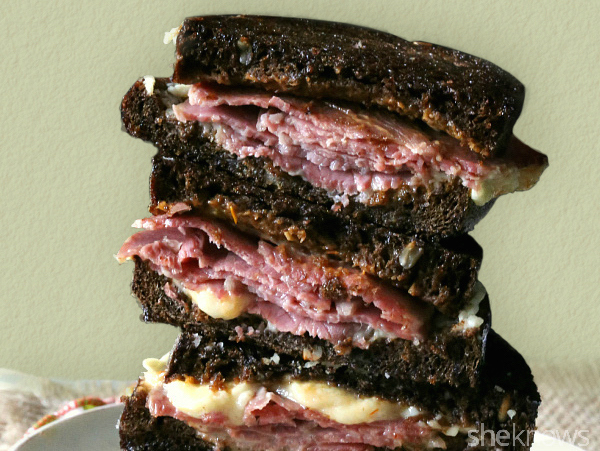 This grilled cheese is another genius way to use up your leftover corned beef. Don’t forget the Irish cheddar. 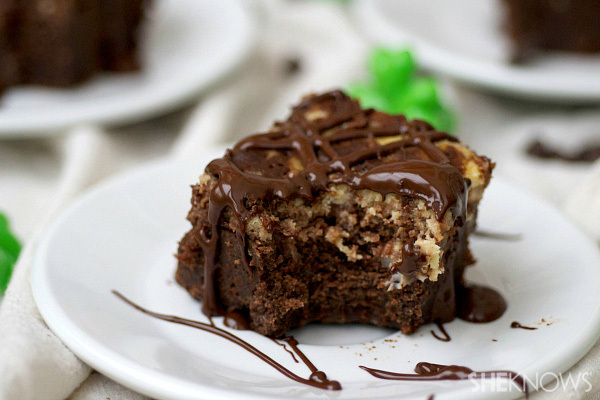 I’ve never been one to slam a beer and a shot all at once, but I would definitely inhale these brownies. 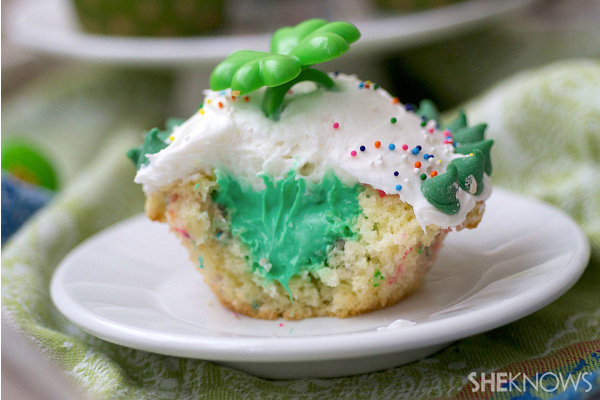 Calling all frosting lovers: Bite into these cupcakes for a sweet surprise. 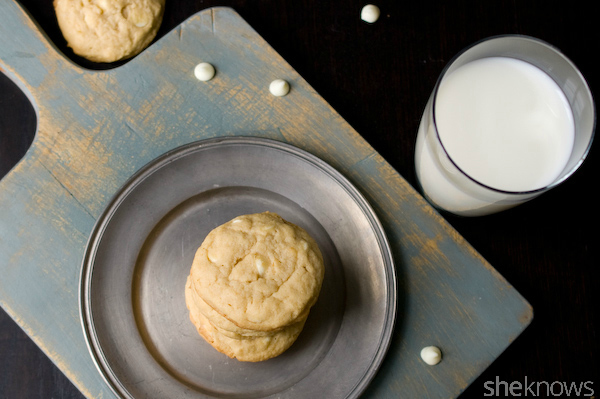 Make these simple sugar cookies, and let the kids go nuts with frosting and sprinkles. 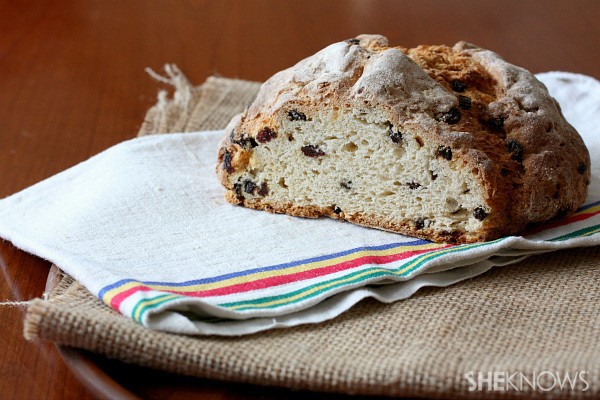 Put a twist on traditional Irish soda bread with one of these four flavorful options. 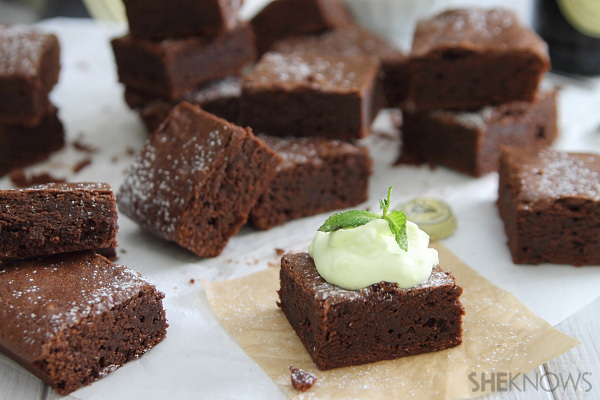 These decadent brownies get an extra-festive touch with a dollop of mint whipped cream. 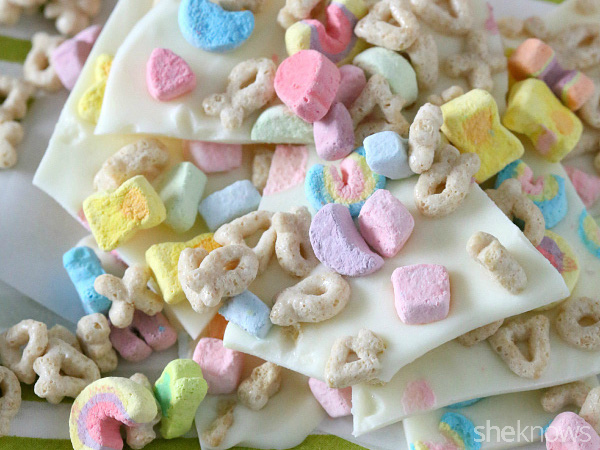 This white chocolate bark is magically delicious thanks to plenty of Lucky Charms. 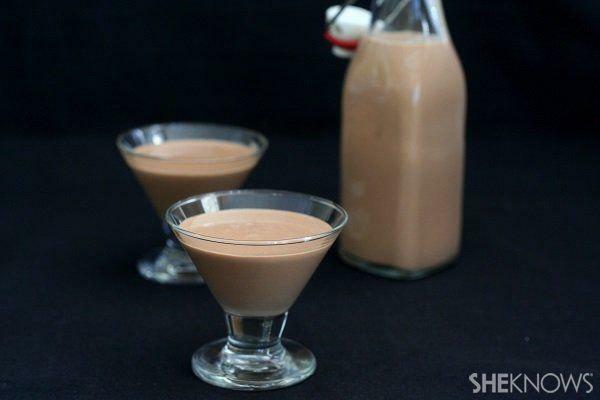 More homemade Irish cream, but this time it’s sugar-free and low-carb.